The bustle of the street disappears as you step inside Paramount Hotel. Set in the heart of New York’s iconic Times Square. 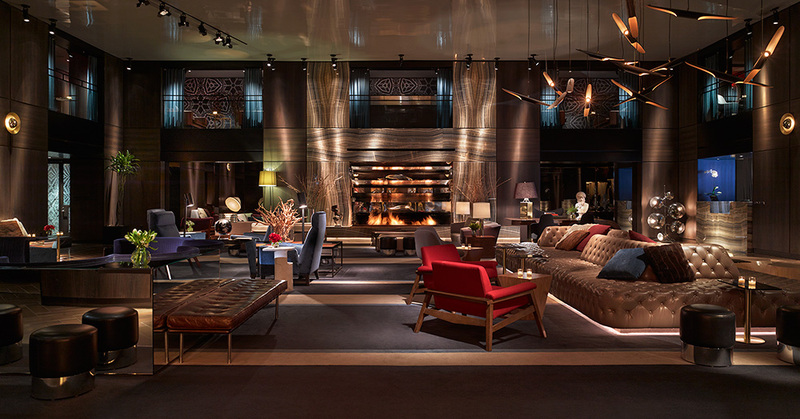 The chic, two-story lobby, with its reflective fireplace, dramatic lighting, and rich textures, sets the stage for a hip, indulgent experience. Whether you are traveling for business or pleasure, Paramount Hotel makes a stylish, comfortable, and centrally located home base for all of your adventures in New York City. The Paramount Hotel is a 597-room New York City hotel in Midtown, just half a block from Times Square and many Broadway shows. I would that the heart of the Paramount Hotel is the perfect yet dramatically lit lobby. The large space is reflective with a fireplace showcasing the rich textures and effective background music. All perfectly welcoming to any guest staying or visiting. My room was overlooking Times Square from the 12th floor. The one bedroom suite was bursting with light and plenty of space, clean and very cosy – perfect for my eight day stay over New York Fashion week. 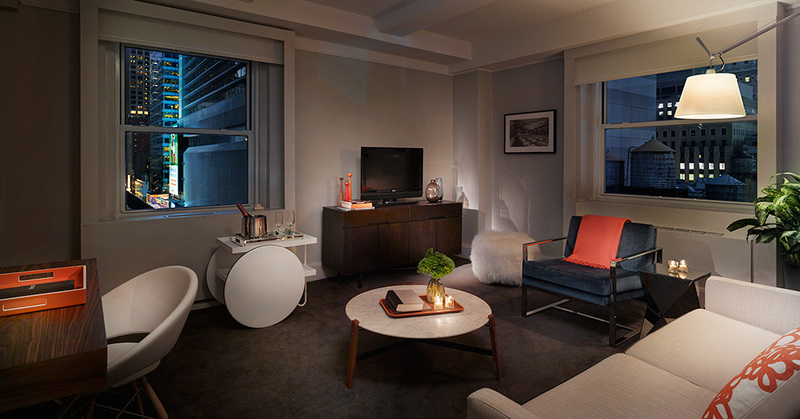 The One Bedroom Suite in NYC offers a king-sized bed and a separate living room with a sofa bed. Decorated in neutral tones. Relax and enjoy the bathroom tub perfect for a leisurely soak after a day in the city. 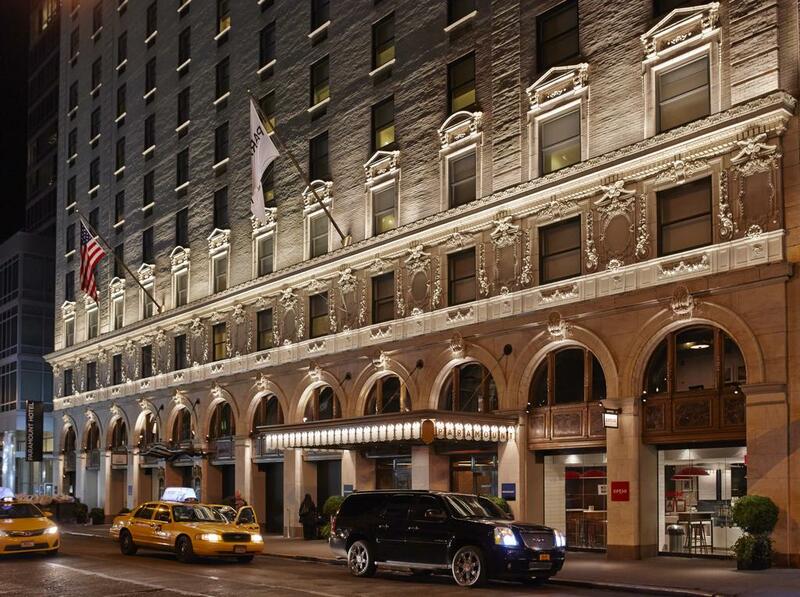 The Paramount is a perfect hotel in New York City for those searching for contemporary luxury at a reasonable price. The staff are extremely knowledgeable and accommodating, making it brilliant for business trips or a weekend getaway. This entry was posted in America, Food & Travel, Latest News and tagged New York Fashion Week, NYC, Paramount Hotel, Review. Bookmark the permalink. ← 2018: NEW YEAR NEW FRAGRANCE?